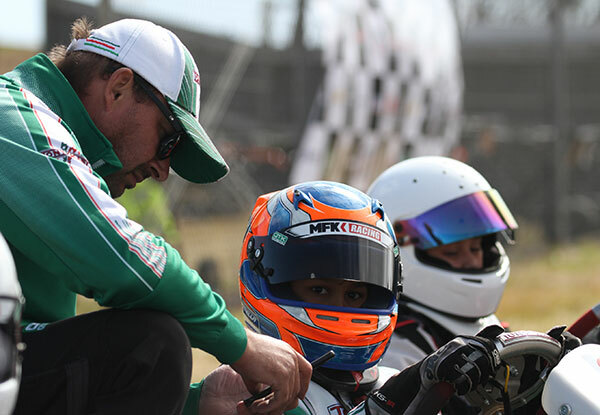 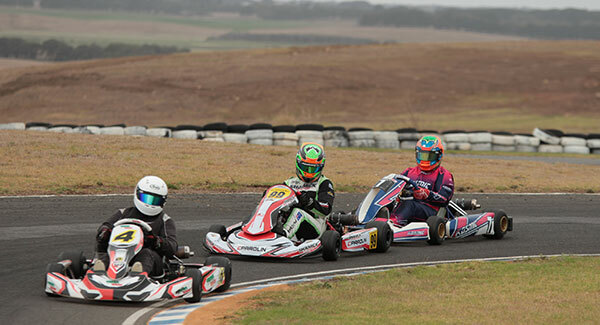 The scene has been set for a blockbuster 2019 DPE Victorian Country Series after the Warrnambool Kart Club hosted a fantastic opening round to set the wheels in motion on February 9 and 10. 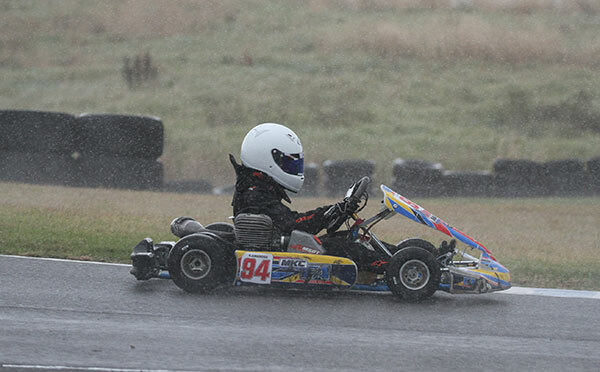 After experiencing sunshine, strong winds and rain throughout practice, 240 karters took to the 745m Lake Gillear circuit in qualifying, with wet tyres not required for the remainder of the weekend. 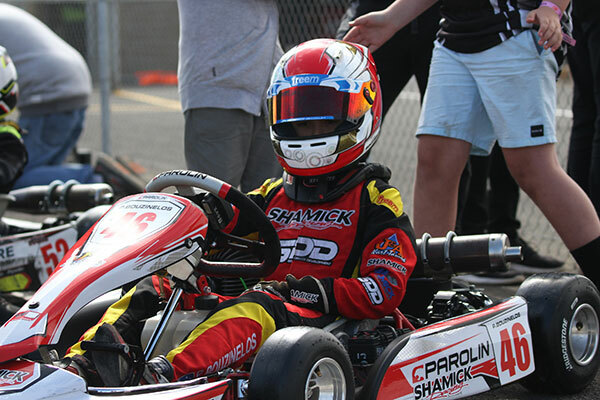 Connor Farr struck the first blow of the weekend taking pole in qualifying with a time of 32.945 ahead of Daniel Rochford, Ben Delaney, Will Carroll and Jordan Rae. 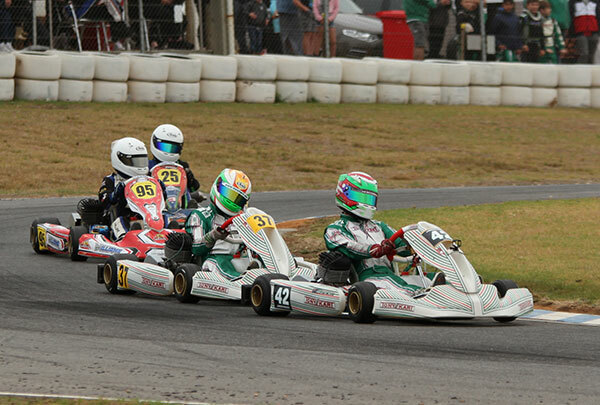 The top 4 covered by less than a tenth. 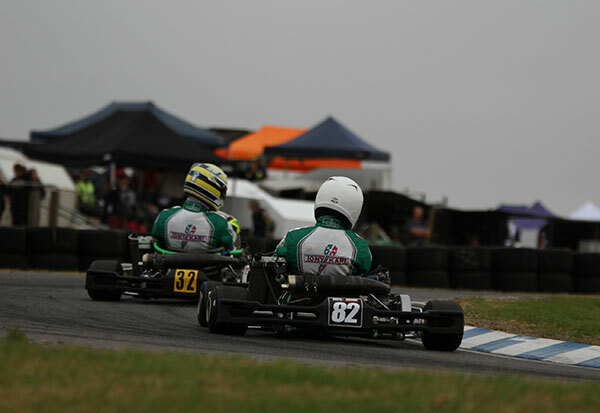 Qualifying set the scene for some close racing, Josh D’Ambrosio and Johnny Hill never far apart. 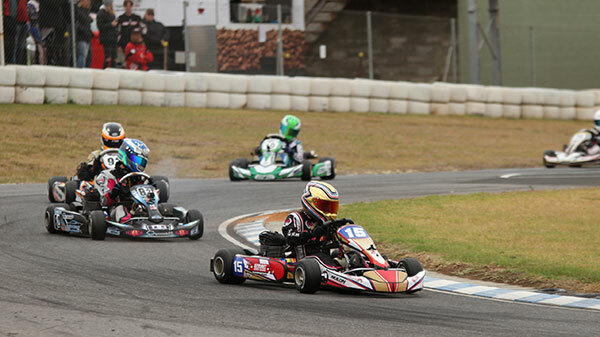 D’Ambrosio took the top spot (35.668) by less than a tenth from Hill, Toby Waghorn in third. 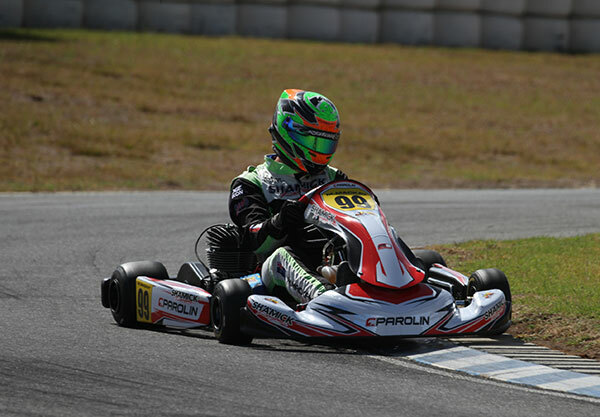 Jay Racovalis was one of the stories of qualifying as he was parked on the top of the hill after four laps, but his early time was good enough for fourth place. 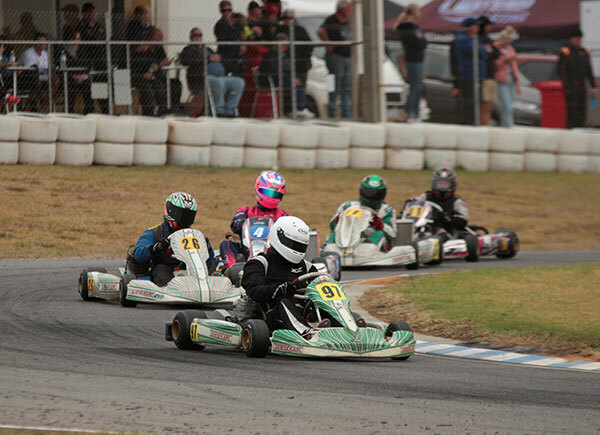 Riley Jabke rounded out the top five. 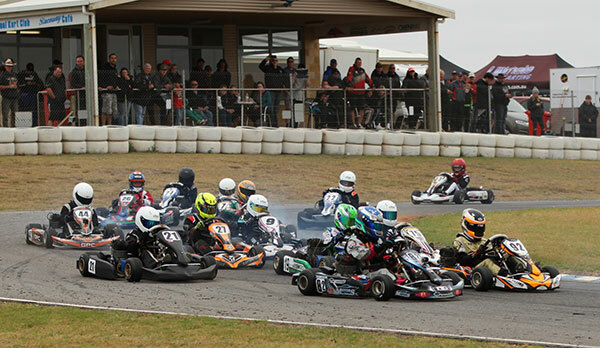 Johnny Hill grabbed the early ascendancy in the final, leading the opening five laps, before a red flag for a stricken Jabke on the main straight. 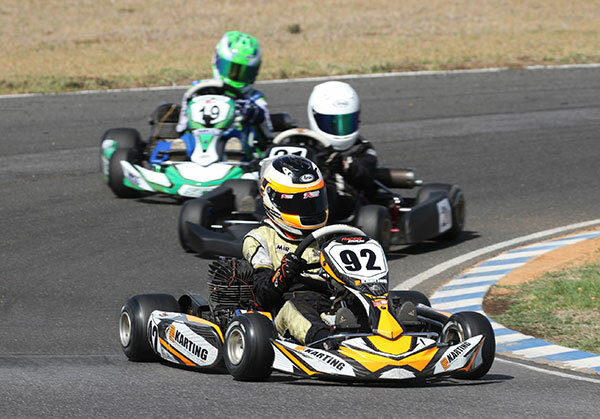 VCL always delivers its share of action and surprises and this weekend was to be no exception, as local young gun Lachie Swayn delivered a pole time (34.401) in his first start as a senior! 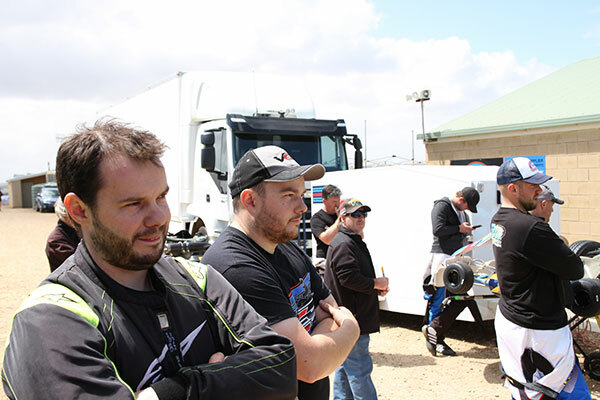 Making it even sweeter was the calibre of drivers on his tail, Andrew Sotiropoulos, Todd Chambers, defending series champ Joseph Clough and Steven Malkin. 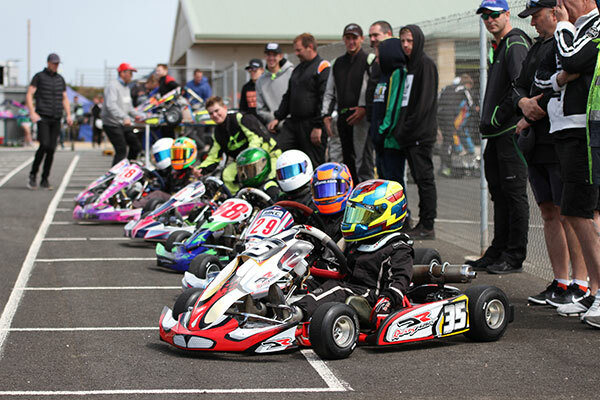 KA3 Senior Light continues to go from strength to strength as the junior hot shots move into the ranks, and that theme continued this weekend. 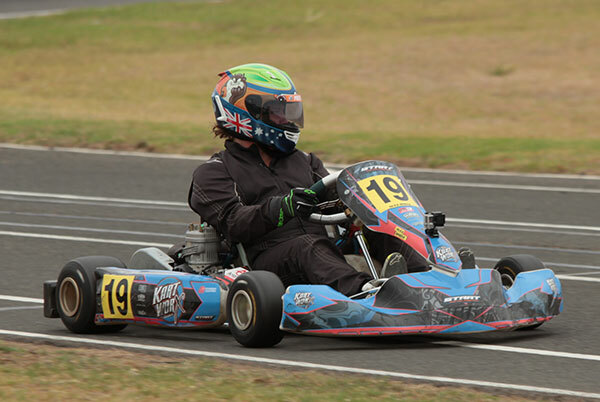 Former JNL series champ Jaxson Cox was the only man to break the 34 second bracket (33.963) on his way to pole. 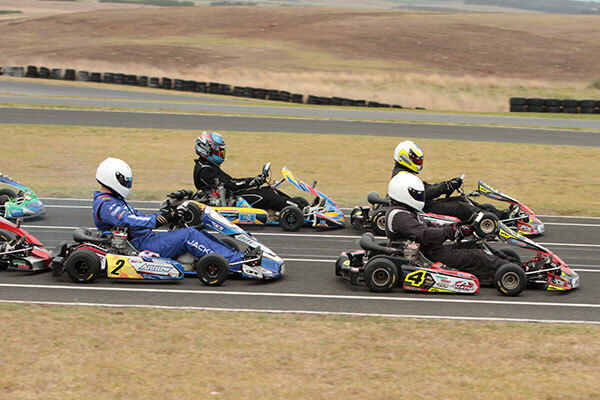 Jack Bell was amongst the front runners as usual in second ahead of Cooper Johnstone, Nathan Williams and Ryan Morgan. 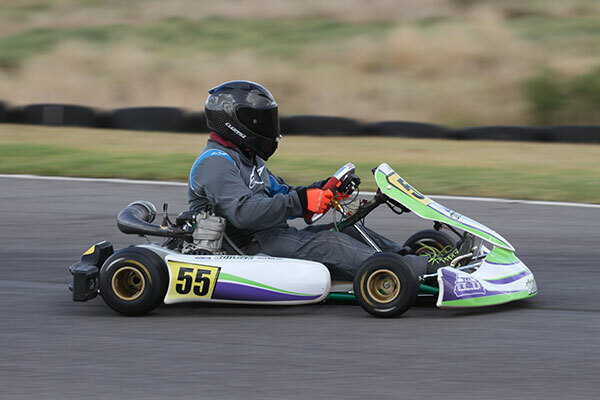 Special mention to Hamish Allan who was pulled up in front of the judge’s box with a mechanical issue very early in qualifying, but managed to fire the kart and record a time good enough for seventh. 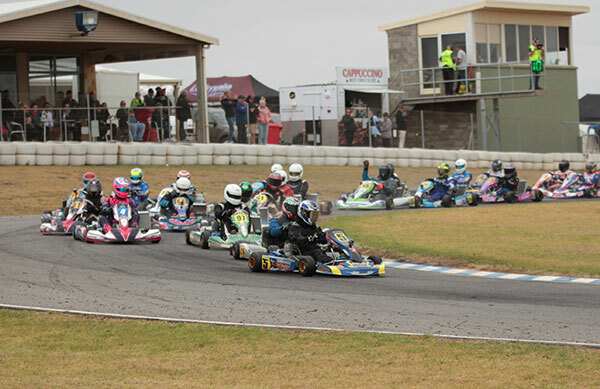 Just like KA3 Light, the numbers in Medium were much larger than has been seen in recent years, and with it came extra depth and some great racing. 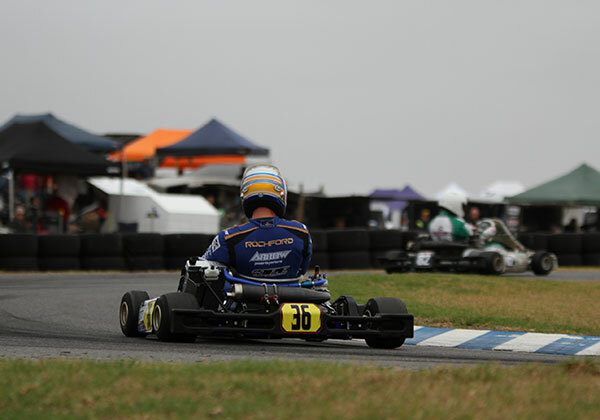 Mitch Mackay was making his return to VCS and started off very well by claiming pole (34.535) over Todd Chambers and the multiple series champion Remo Luciani. 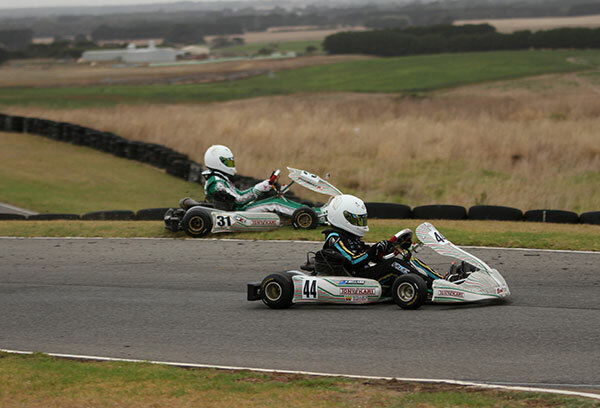 Chris Thomas filled fourth ahead of Taine Venables. 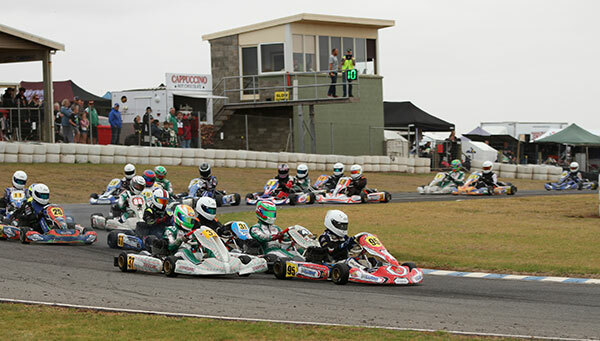 Cadet 9 was one of the smaller grids this weekend, as a lot of the class of 2018 had moved up to Cadet 12, but despite the numbers, the racing was excellent. 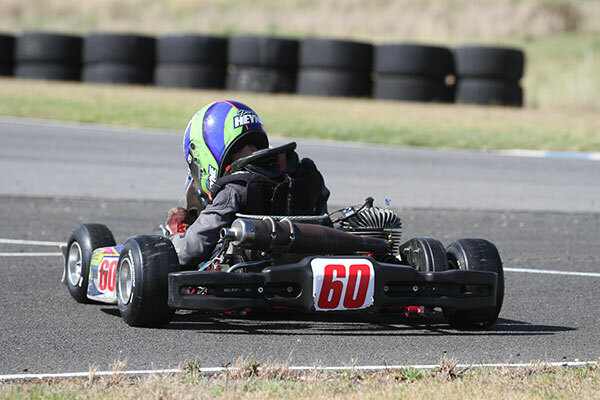 Noah Enright went quickest time in qualifying (37.929) to lead Mathew Basso, Chelsea Humphrey, Mitchell Burgermeister and Ewan Anderson. 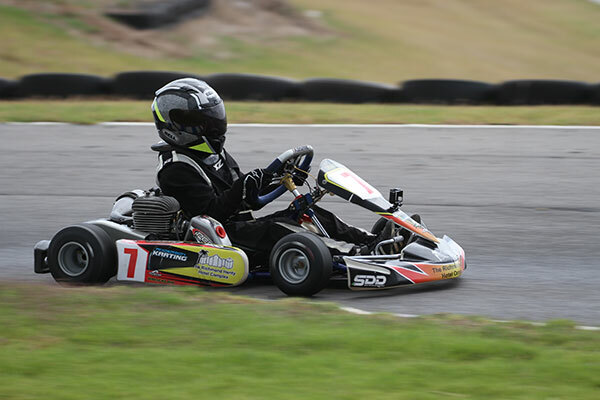 Defending Series Champ Billy Westerveld started his 2019 in perfect style by taking top spot (35.047) in the first qualifying session of the year. 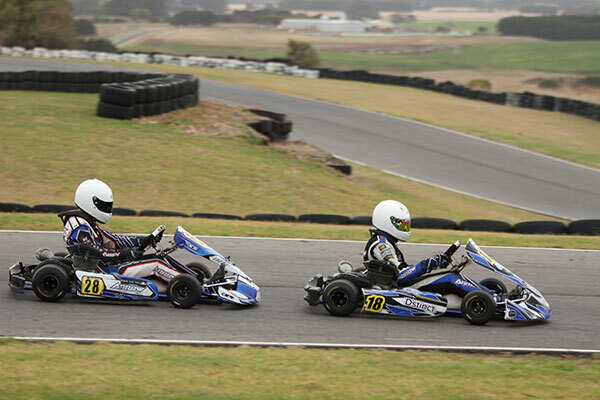 But firmly planted in his shadow was the wily veteran Remo Luciani, who was a mere 8 thousands a second off the mark. 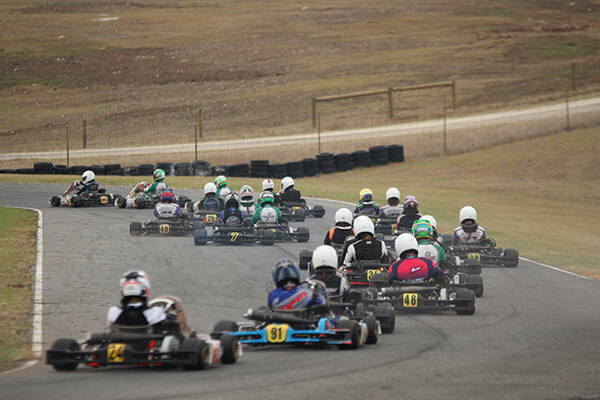 Third was James Stewart ahead of Michael Mifsud and the returning Phil Zentai. 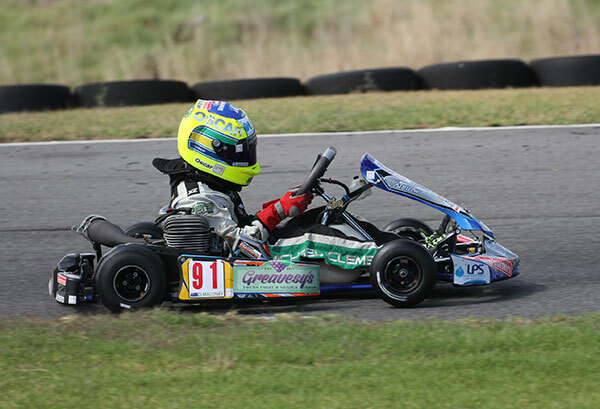 Luciani and Westerveld are seriously well matched in this class and despite using different karts and engines, there was nothing in it, and it was almost a case of who was in front when the music stopped. 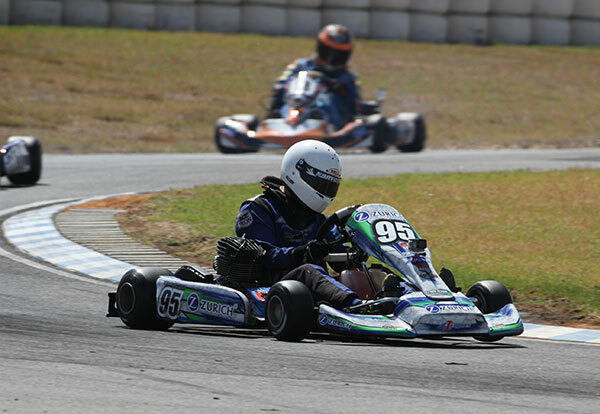 Westerveld took the opening heat win over Luciani, however a starting infringement would see Luciani penalised and relegated to fourth. 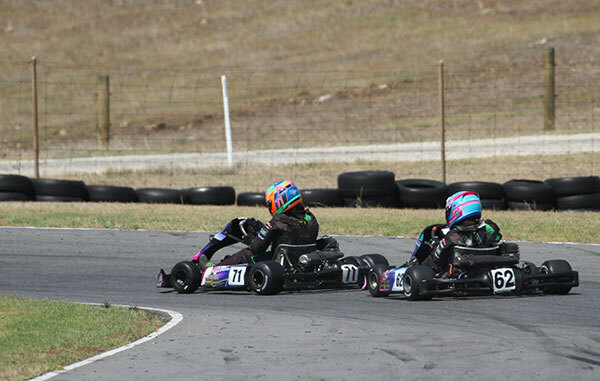 Moving up to second was Alex Baker who had come from sixth, heading Mifsud who was running well. 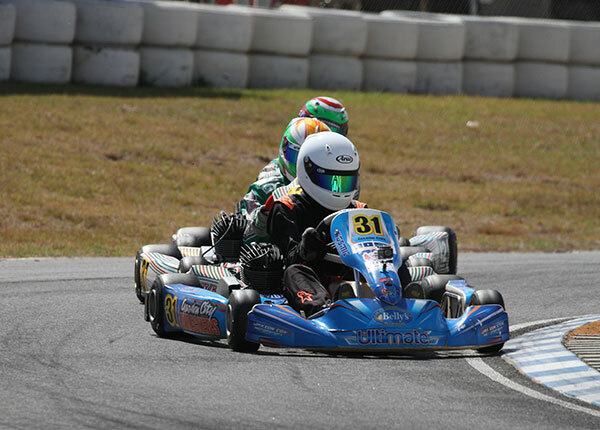 Luciani now in fourth ahead of 2018 Heavy Champion Andrew Harvey. 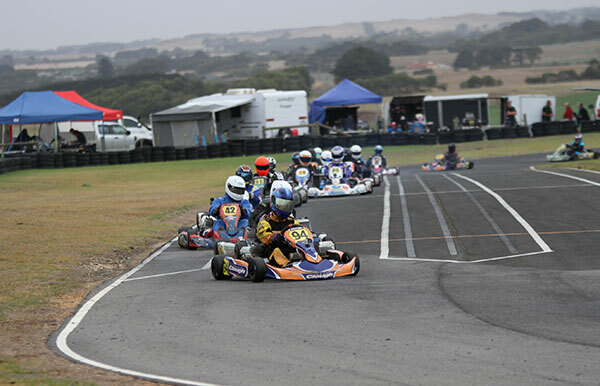 Christian Cowie won the Warrnambool round in 2018, and he started his 2019 campaign much the same way by scorching to pole position (34.457). 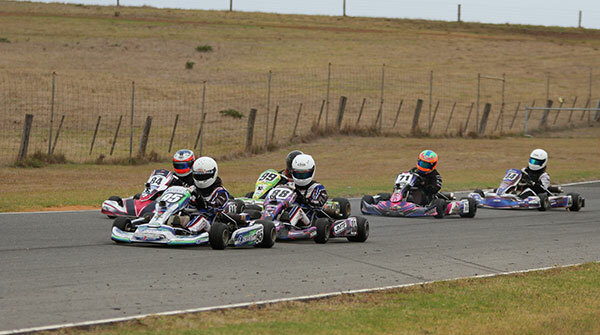 Cowie’s time was three tenths clear of the field in what was otherwise a close field. 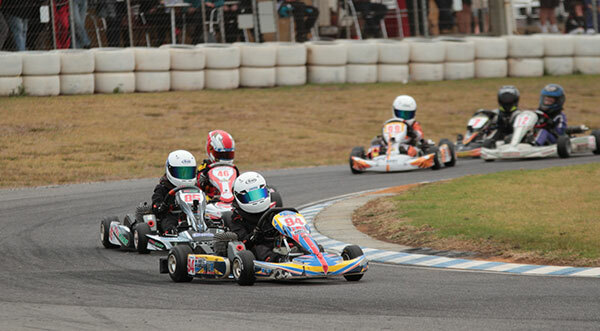 Harrison Campbell showed glimpses of his speed in second, ahead of Jake Krasna, Matthew Domaschenz and Parker Scott. 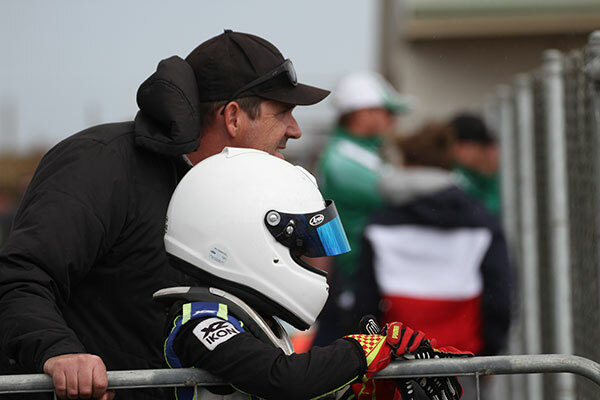 Brett Jenkin has proven to be a very potent force at Warrnambool and he didn’t let anyone down with his performance over the weekend. 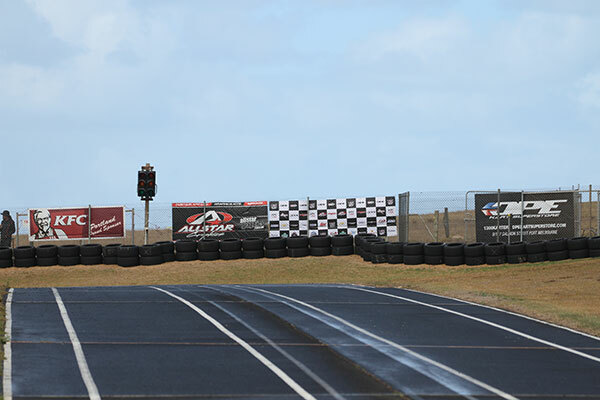 He laid down the challenge early by taking pole (35.678) from the 2017 series champ Mick Angwin. 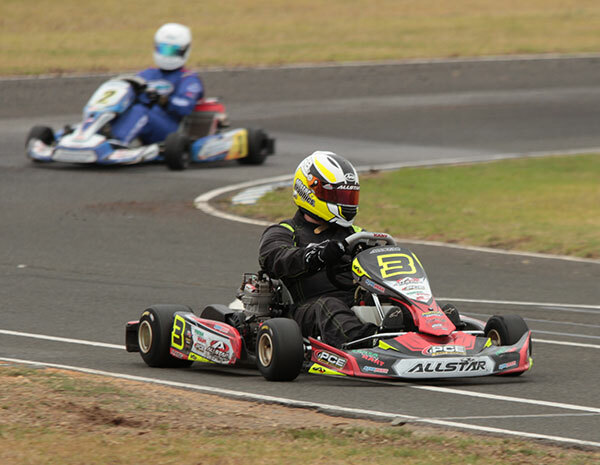 Clayton Groves showed a glimpse of his pace, P plates a bit of a decoy as he went fast enough for third. 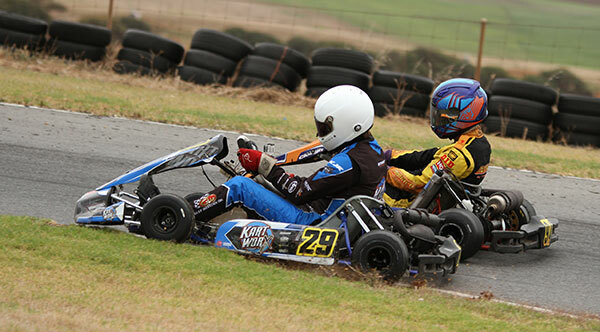 Last year’s round winner Luke McPherson fourth and Martin Golledge fifth. 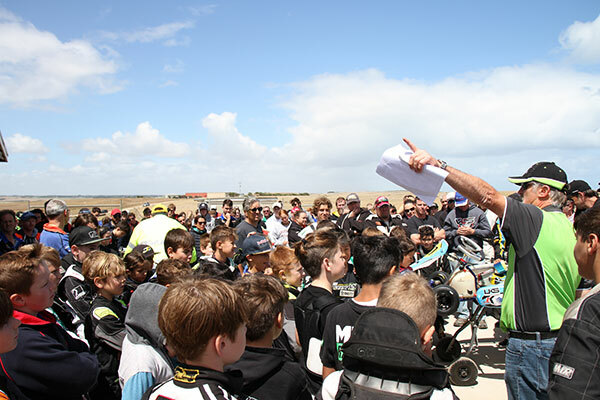 The biggest class of the weekend was the oversubscribed Cadet 12 class, which was split into 2 for qualifying before they embarked on A v B v C Heat racing. 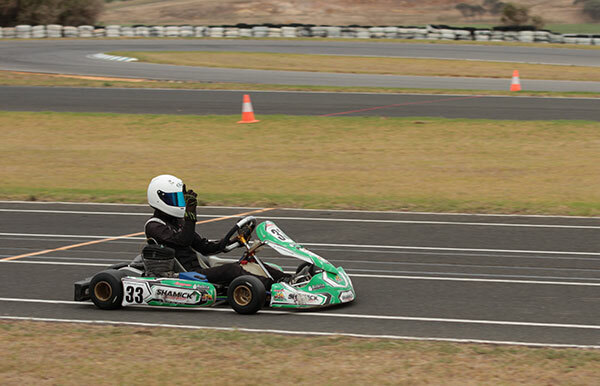 Cadel Ambrose looked speedy on his way to a nail biting pole position (36.652). 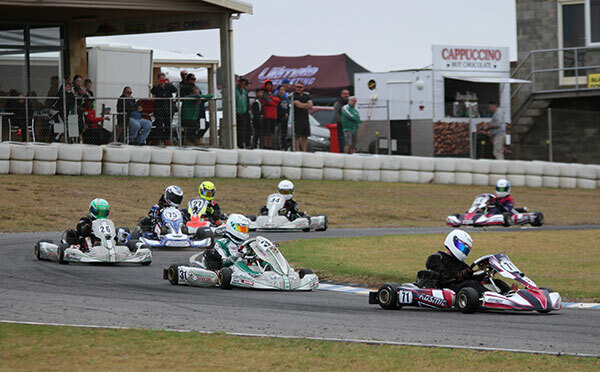 The top five was covered by less than a tenth, Peter Bouzinelos (+0.005), Xavier Avramides (+0.022), Tyce Hodge (+0.045) and Hunter Salvatore (+0.071) rounding out the top 5. 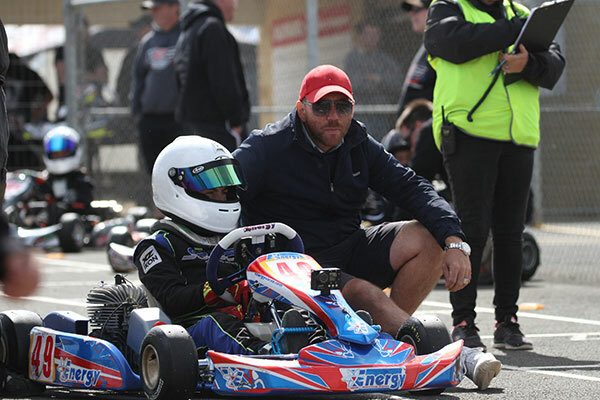 Adam King started off his 2019 campaign in fine style by posting the fastest time in qualifying (33.390). 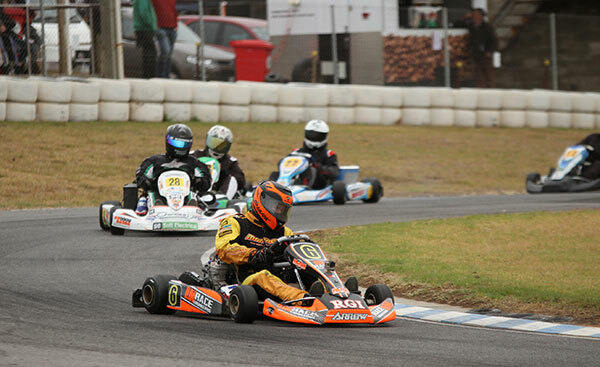 Scott King, the defending series champ would have to settle for second ahead of Nikola Schmidt, Paul Feely and Glenn Croxford. 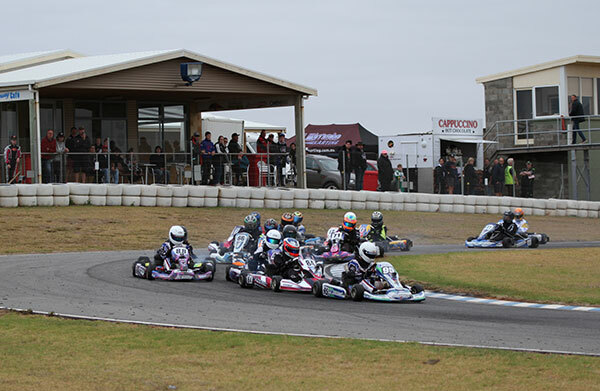 A Huge field of masters arrived for the opening round of the series and they were also contending for the Wolf Gottlewski Memorial. 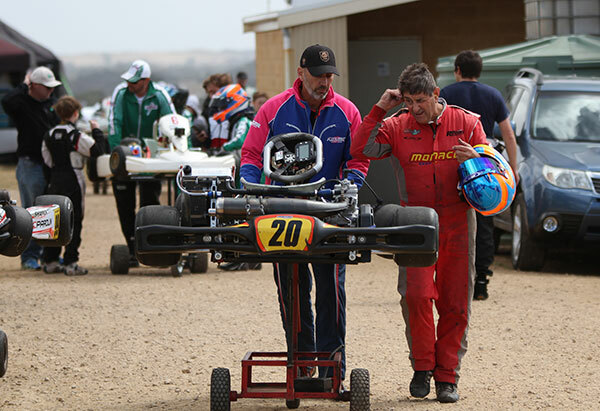 In qualifying the top 13 drivers were within half a second, but it was Peter Gigis (34.978) prevailing over Andrew Stubbs, Garry Haywood, Andrew Purcell and Leon Forrest. 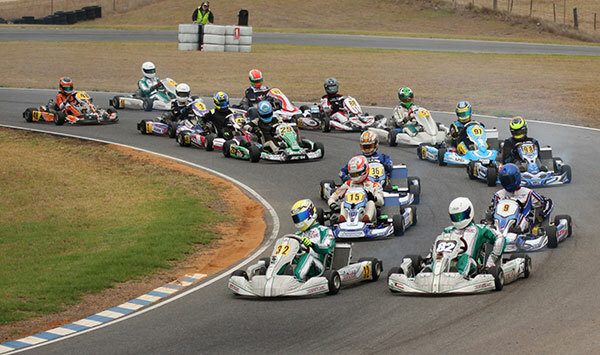 The premier junior class is always hotly contested and the opening round of the series would be no different. 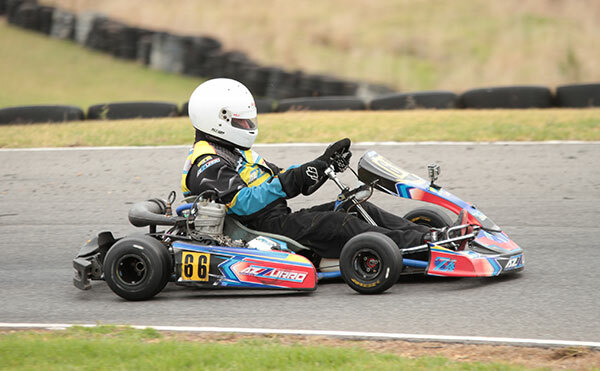 Ethan Bray was the only driver to venture into the sub 34 second bracket, securing pole with a time of 33.970. 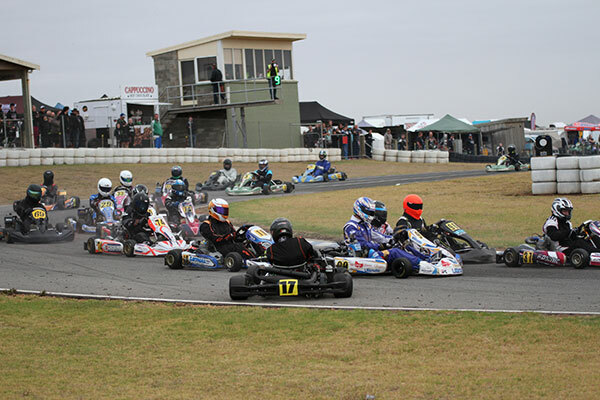 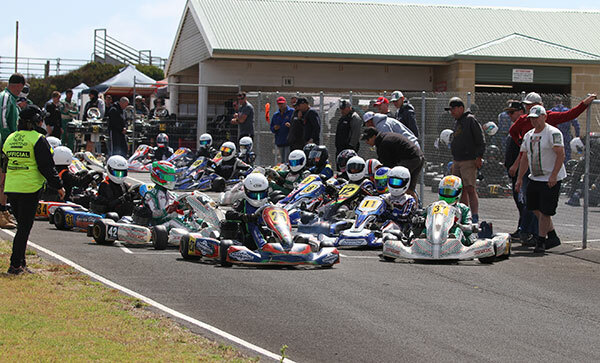 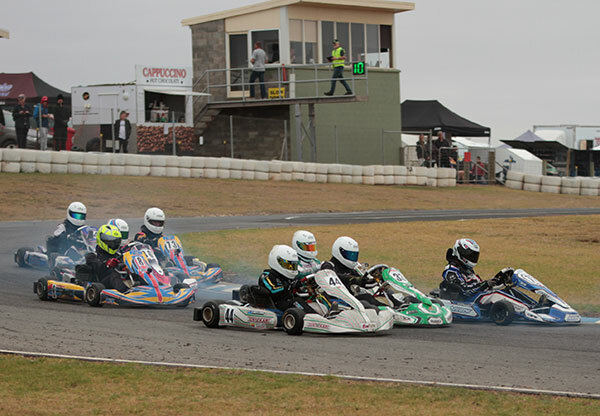 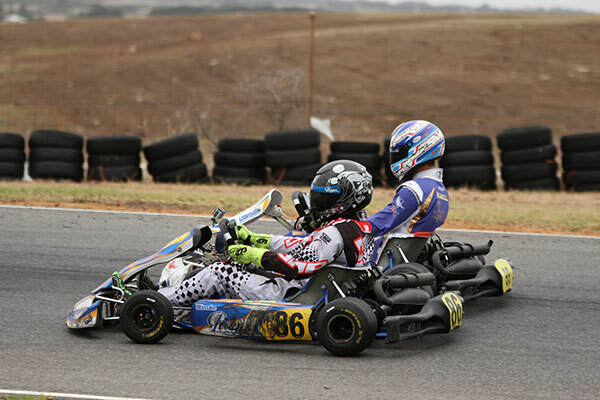 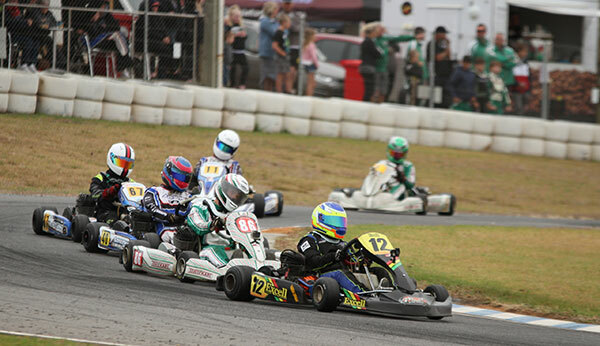 The following 6 karts were separated by less than a tenth, the remaining spots in the top 5 belonging to Isaac Woodhouse, Bronson Boult, Brayden Stewart and Fletcher Bellars. 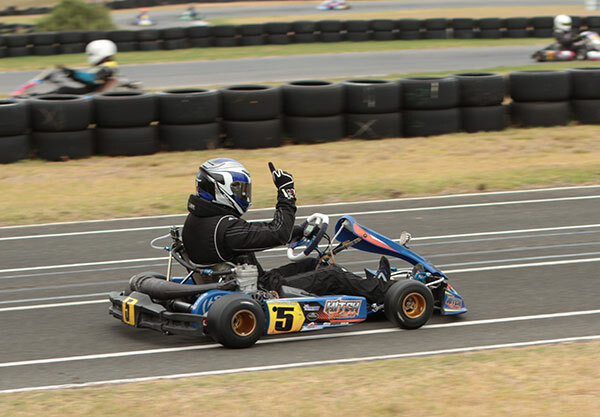 That’s a wrap of what was a genuinely sensational weekend of racing. 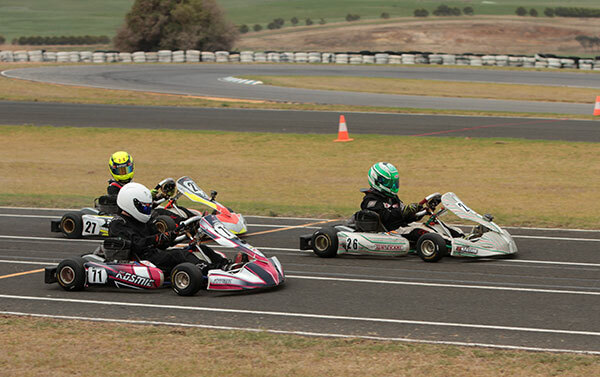 The series continues at Portland’s Yarraman Park circuit on March 23 & 24. 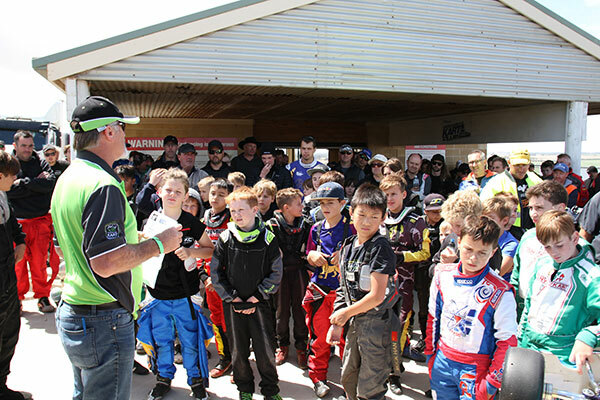 Dunlop Kartsport and Rock Oil winners – Dunlop and DK17 put together some excellent prize packs for round 1. 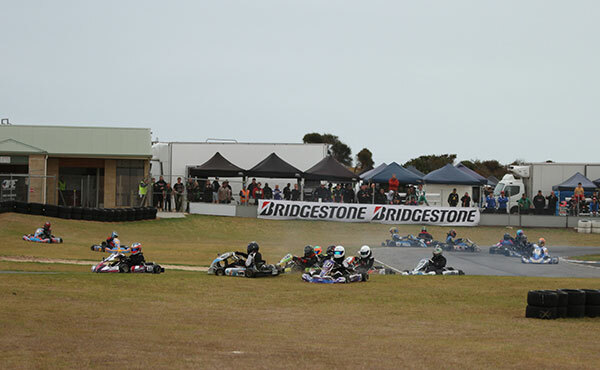 Each contained DK17 tyre covers, Rock Oil, a DK17 memory card and a handy Dunlop tape measure. 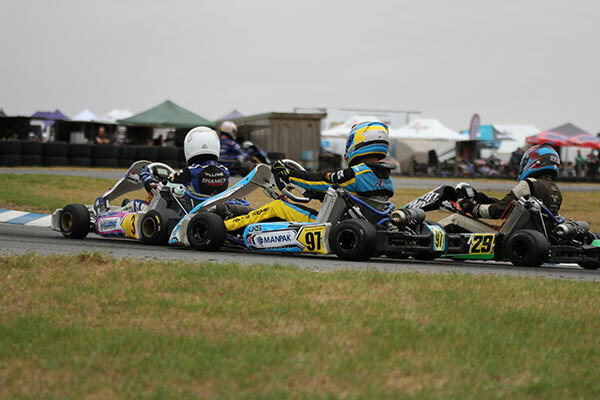 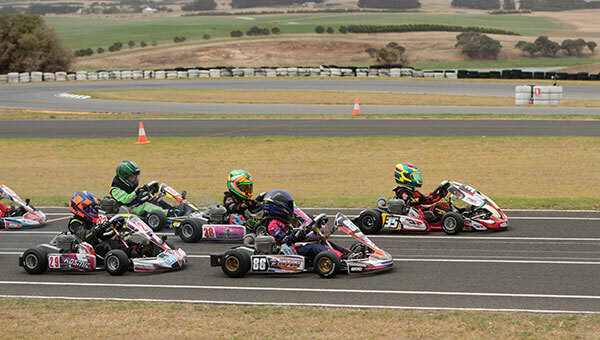 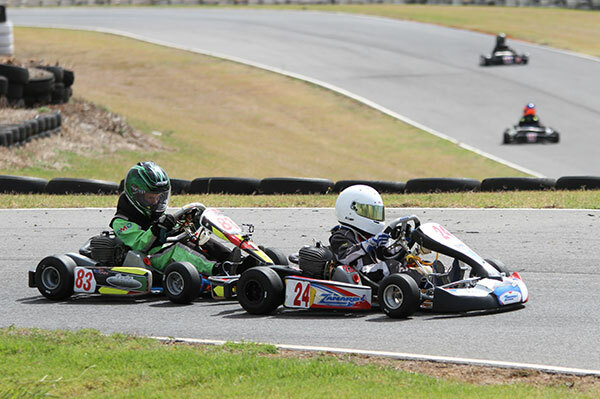 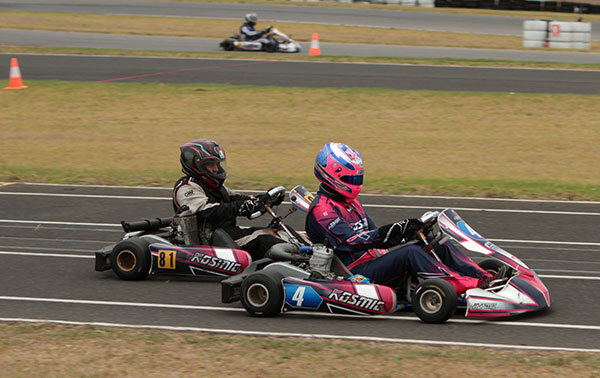 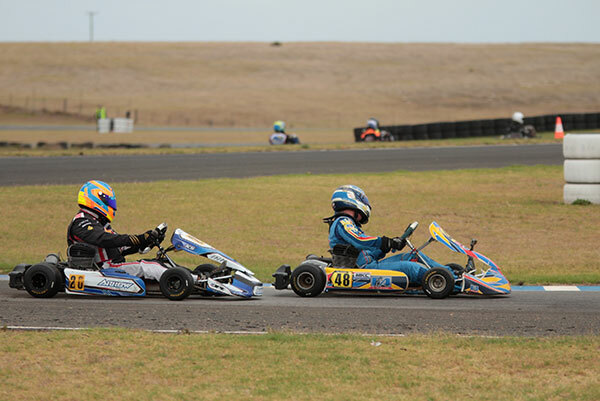 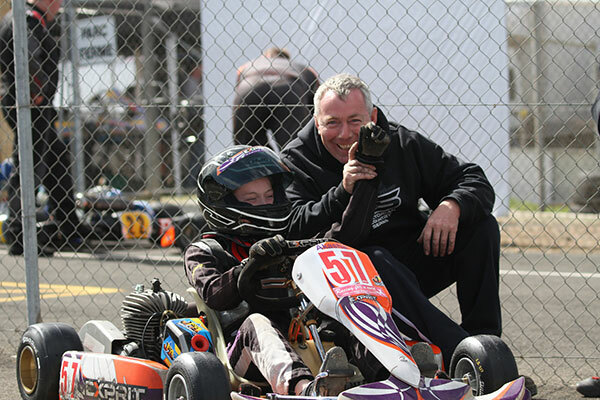 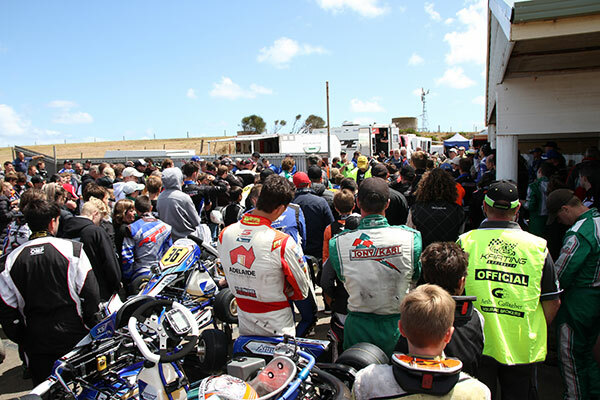 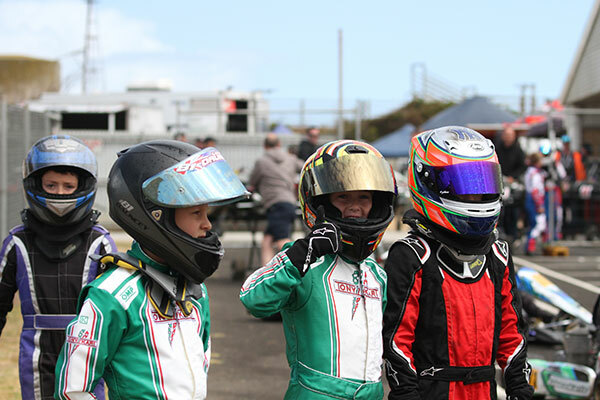 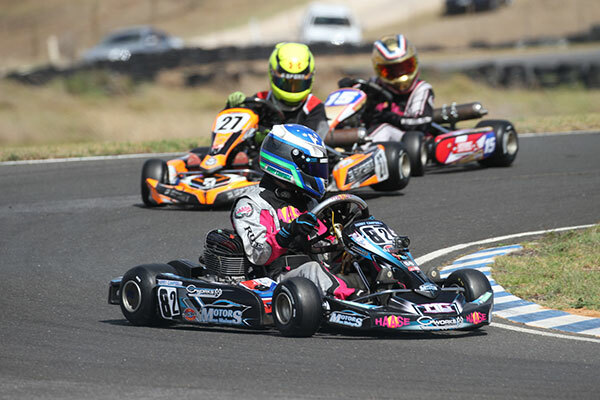 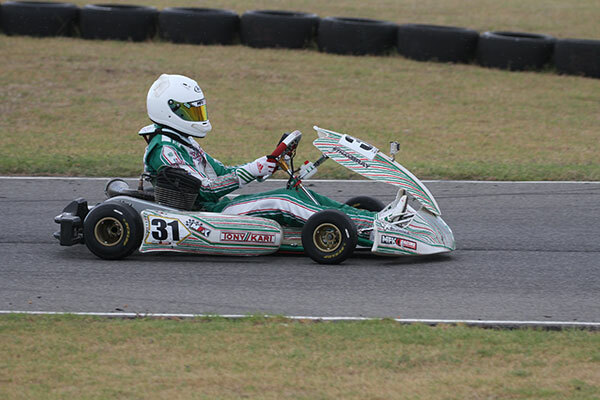 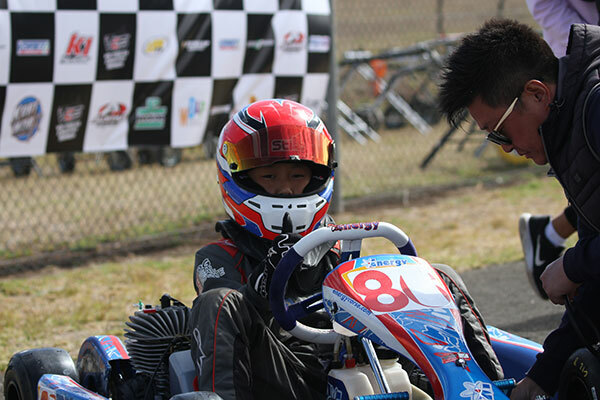 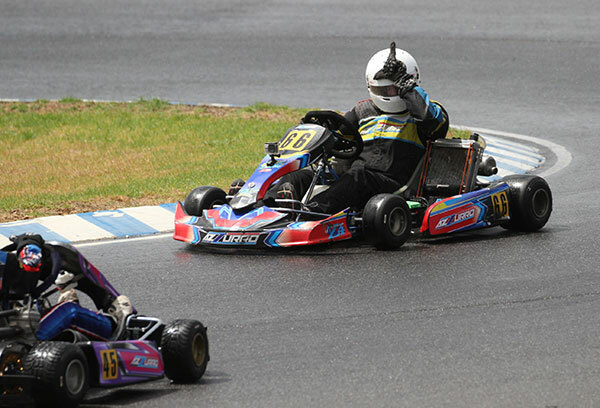 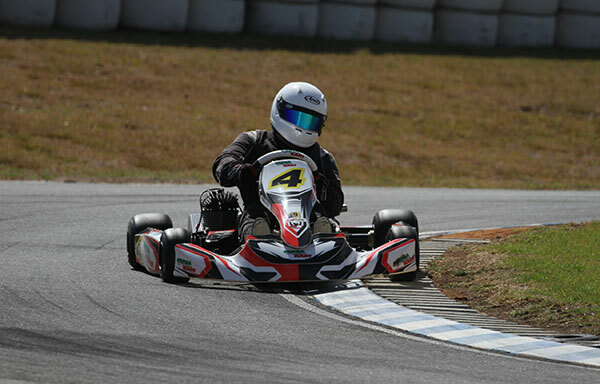 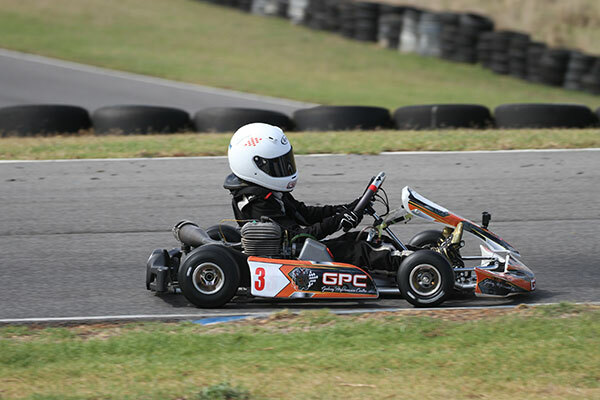 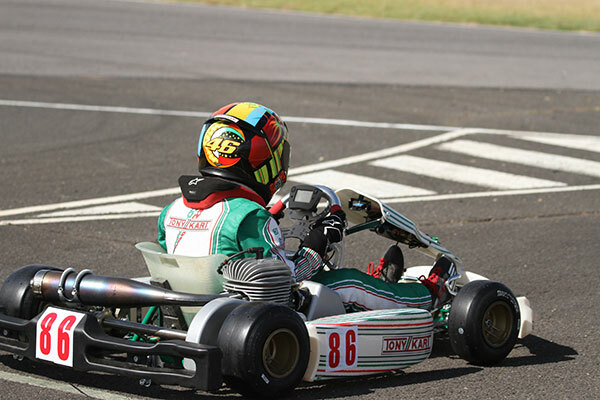 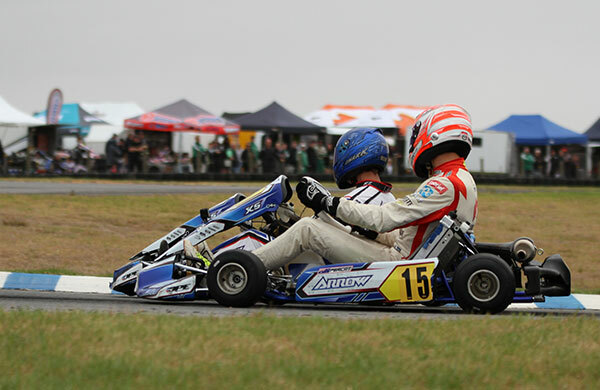 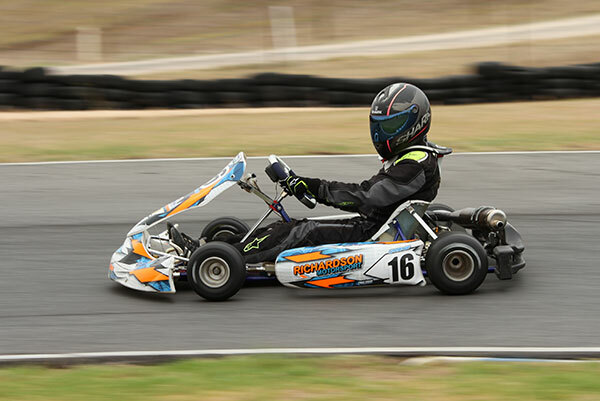 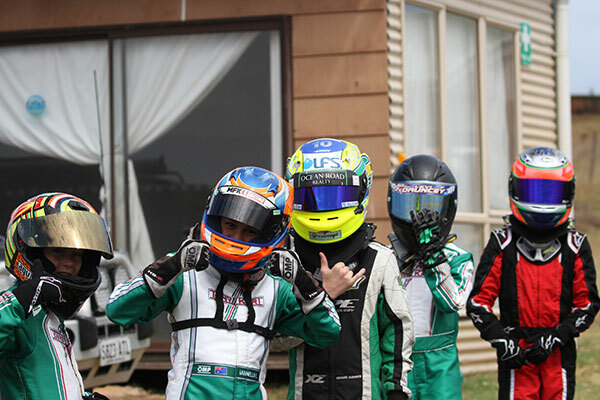 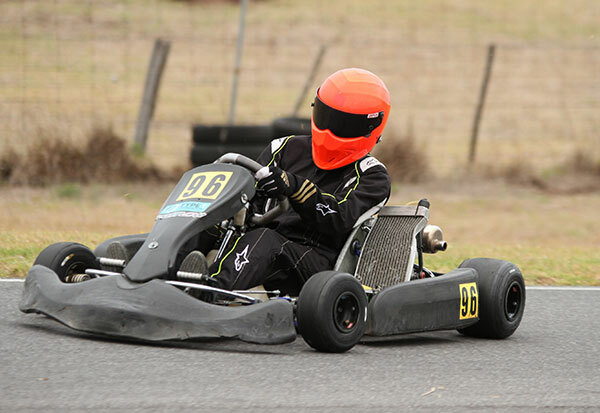 Warrnambool KartWorx winners – Each picked up a $100 voucher towards a custom K1 RaceGear suit thanks to KartWorx. 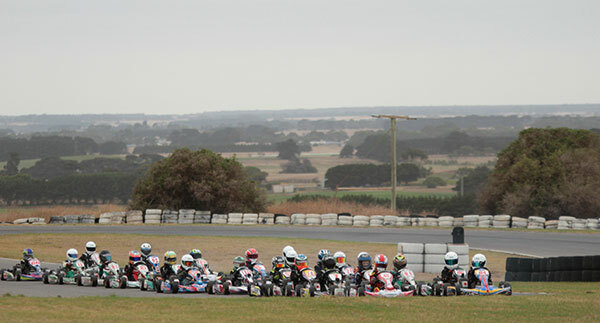 17 Christopher Davis facing the wrong way in a big Combined Light field. 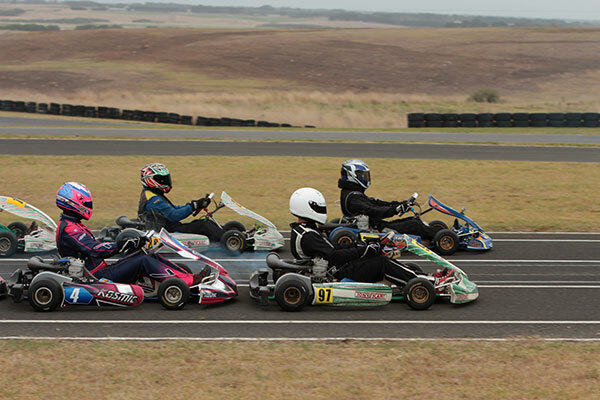 Thankfully, they all missed.